Here at Benjamin Draperies, our elite team works closely with clients. Our designers and installers are hand selected based on their experience and sincerity to their job. Our certified installers are professionally trained and specialize in window fashion customization and installations; both commercial and residential. Getting the job done perfect and timely is part of our mission. 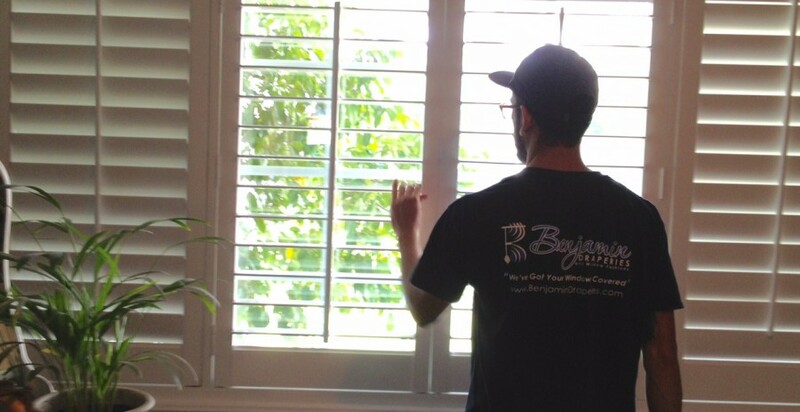 Benjamin Draperies, installers will always leave you with a clean and neat completed window-covering job. We care about your concerns and want to give you the best quality for your investment. If you want top-notch service with a great product, call Benjamin Draperies. Earl was absolutely professional. He listened to our needs, tried to meet our budgets, and presented many alternate options to help us achieve our goals. I would recommend Benjamin Draperies to anyone. Great Job and so glad we met you Earl. I was greeted with patience and incredible customer service throughout the process.